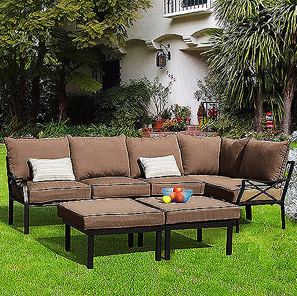 So, we took the plunge and bought an outdoor sectional for our patio. The outdoor living room is officially happening! Why did we pick that one? I also liked the style of the arms compared to the Ragan sectional. Ragan's arms felt a little too jailhouse for me. Plus this sectional has darker upholstery, which is appealing when you factor in puppy damage and stain resistance. Walmart offers free shipping from site to store, so we took advantage of that option and will be called by our local store whenever the sectional arrives. (I mention this because many reviews mention the high shipping cost, which is irrelevant when you use the free shipping option and pick it up yourself.) It's supposed to come in between May 1 and May 11. I can't wait to get it and put it together! 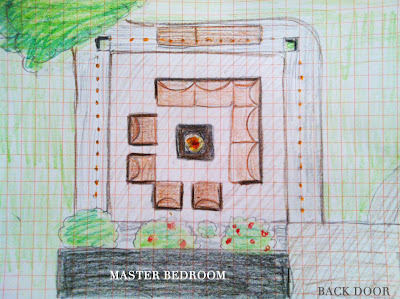 Our patio is 13 ft by 13.5 feet, and the sectional is 8 ft by 8 ft. Each square represents a foot in the drawing, so everything is pretty much drawn to scale. Our dining chairs that we're going to reuse from our old set are 2 ft by 2 ft, so this is an accurate representation of how they will fit. That thing in the middle is a fire pit. I'm hoping to find or build a fire pit that doubles as a coffee table, but I'm finding that most options are pretty pricey. Scott says that he is willing to build it if it makes more sense financially, so we're pricing out the supplies to see if it would be worth the effort. Naturally my daydreams continued into the outdoor accessories, so I created an inspiration board with some of my favorite ideas. It's shaping up to be a really neat space. We already have the lights (albeit some of the bulbs were broken in the hail storm, so they need replacements), the umbrella (super Pottery Barn clearance item after Christmas) and the chairs. I'm dying to create something like this succulent wreath, and I'm thinking some outdoor pillows would brighten up the brown/beige cushions we have going on. I'm not sure we need the rug, but what's a living space without a rug? It would cover up the hard work we did on the patio, so that may not make it into the space. We're pretty excited about how it might look once we bring everything together. I can't wait to have my friends over to enjoy it! Both of our birthdays are coming up, so we're thinking we may host some alfresco dinners to celebrate. 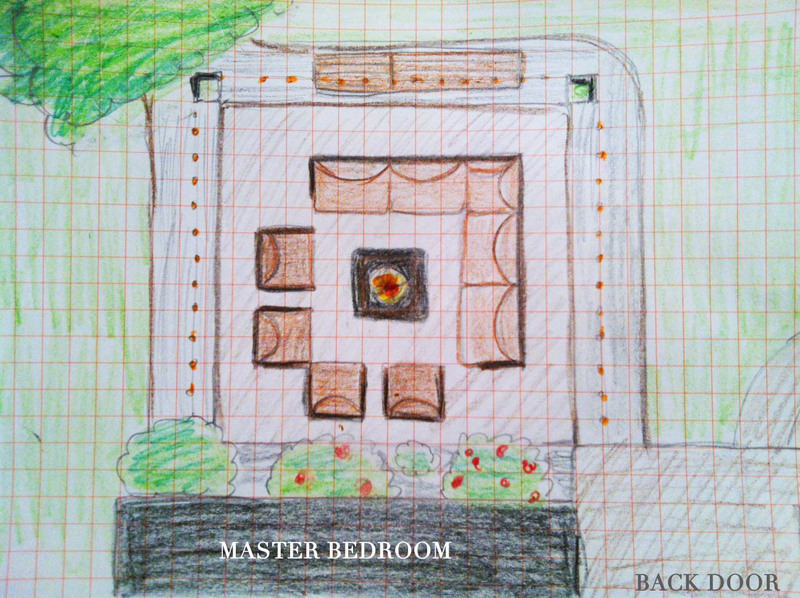 Have you been working on your outdoor spaces lately? I'd love to hear about it!